In the past ten years, a mobile phone has turned from a rinky-dink device used for voice calls only into an important tool for business communications of business users and a source of entertainment for regular users. Today, mobile services are already not just voice services but an extensive package of VAS that enables mobile operators to significantly enhance their revenues. However, advanced services greatly complicate a carrier’s network infrastructure and increase its maintenance costs. The uniqueness of mobile communications lies in their ability to introduce new network standards much faster than other telecom market players. In just 15-20 years cellular operators have replaced analog communications with 1G, 2G, 2.5G, 3G, and 4G networks by effectively introducing a higher level of performance and capacity every 5-7 years. To enjoy this benefit, mobile operators should use OSS/BSS that can easily adapt to ever-changing technology and increasing network complexity. Moreover, continuous regional expansion, mergers and takeovers of telecom companies also test an OSS for endurance as it should keep pace with a dynamically growing business. Competing with each other, carriers need to continuously introduce new services while cutting their operating expenses. This calls for new-generation OSS tools. Only with them will the main business objectives be achieved: generate new revenue streams, cut operating costs, and maintain customer loyalty. 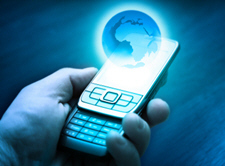 CBOSScovergence Mobile Solution is designed to help mobile operators implement new services in a record time and effectively support their customers’ loyalty. It supports the whole range of mobile telecommunications services including cellular, satellite, and trunking communications. A wide portfolio of products offered as part of the solution ensures its flexibility and scalability and enables fast and seamless integration with a mobile operator’s legacy systems.